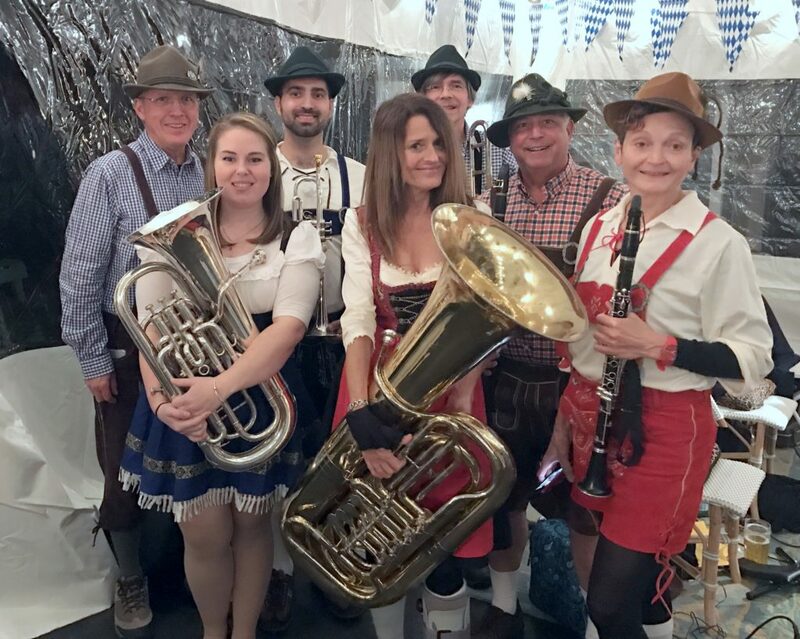 The TubaFrau Hofbräu Band is a lively traditional German oompah band that will add festive music to your Oktoberfest and other celebrations. Our instrumentation is flexible depending on your budget and the sound you want. We perform in groups of 3-10 players. We are available for your special event. We also perform weddings, concerts and educational presentations. 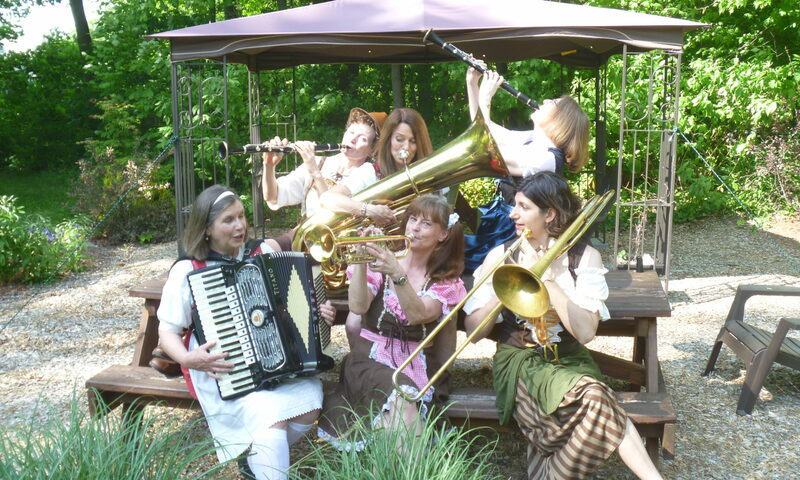 ★★★★★ The Tuba Frau Band... I love this group! They bring that certain magic that transforms a party into a memorable evening. 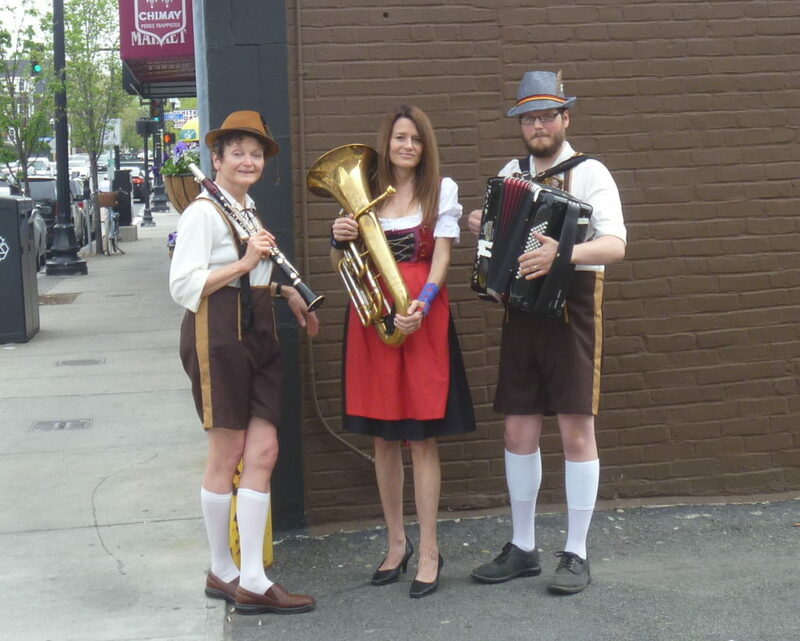 Would not celebrate Oktoberfest without them. 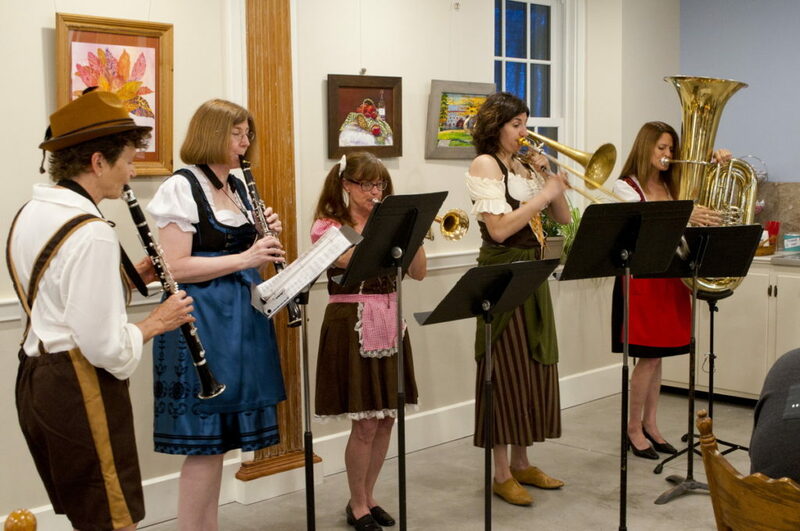 ★★★★★ Leslie and her band performed at a corporate Oktoberfest event that I hosted. 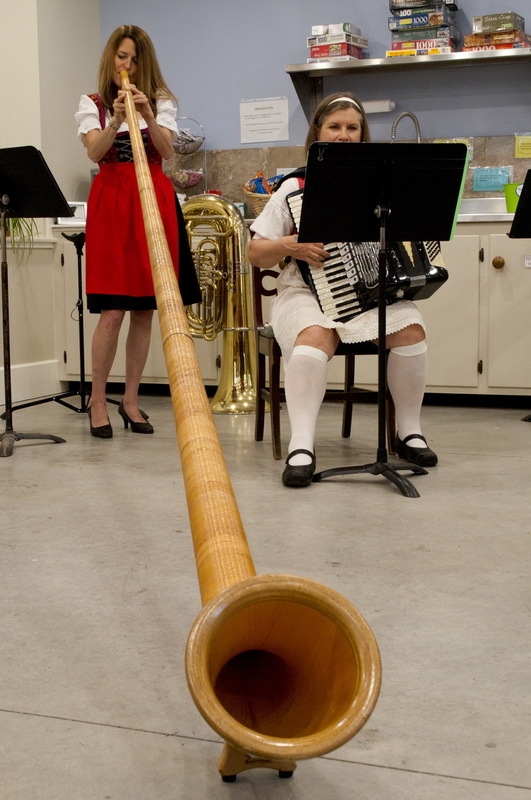 They were perfect for the event and they kept everyone entertained all evening. They even played Highway to Hell, which was pretty cool! ★★★★★ Fun and very talented band! ★★★★★ Their first appearance with us & was extremely pleased. Timely, courteous, audience participation & selection of songs fantastic. 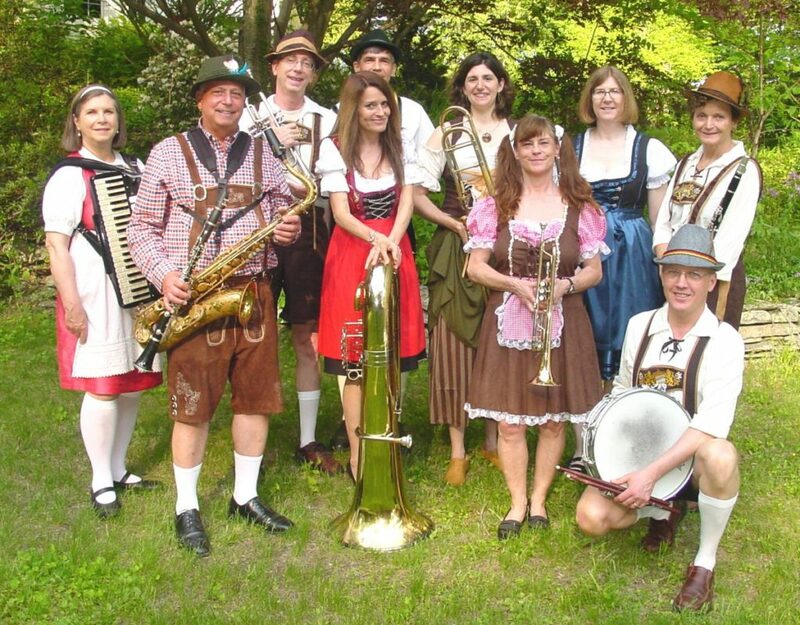 I highly recommend them for any German fest! ★★★★★ Exactly what we were looking for! 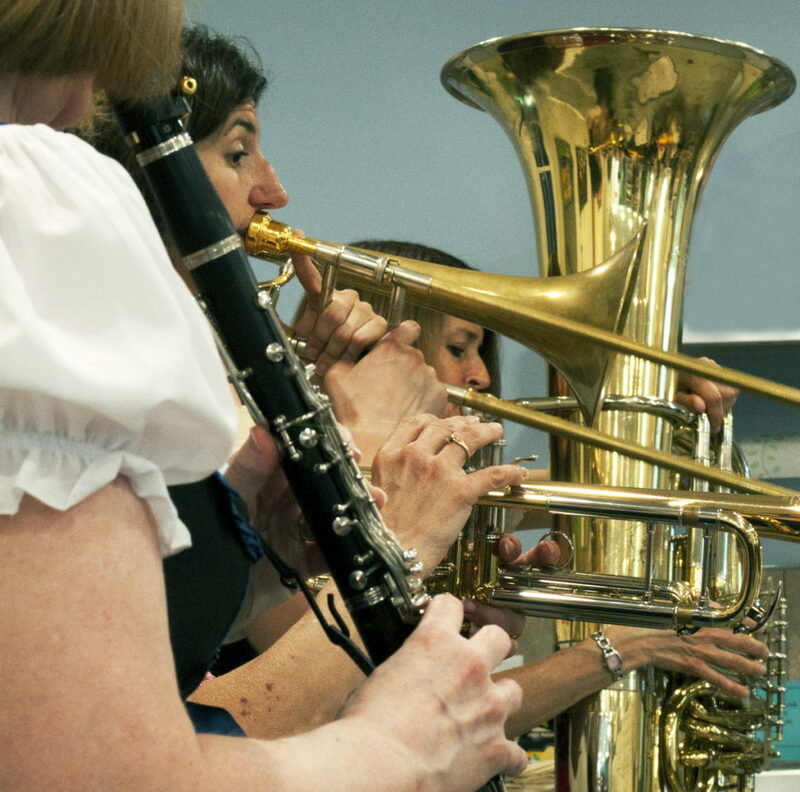 ★★★★★ The Tubafrau Band was absolutely perfect. They couldn't have been more professional, pleasant, or appealing. 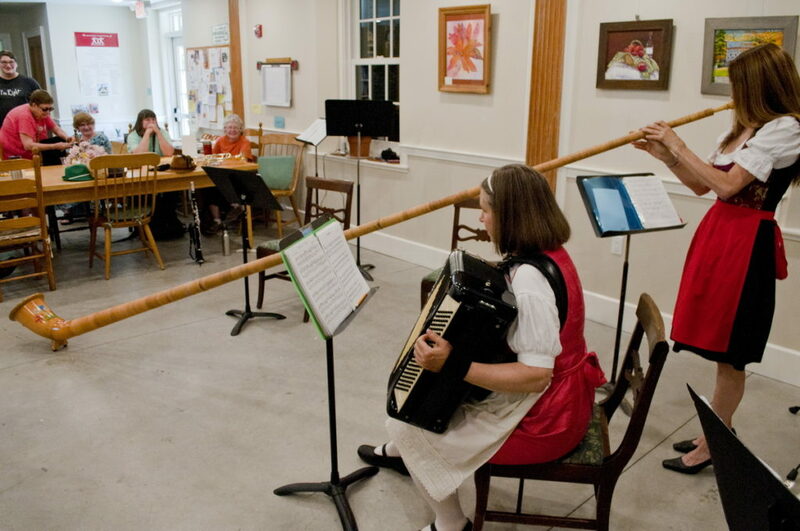 Their repertoire is endless and authentic, they play it masterfully, and our guests were all thrilled by them. Truly, I would recommend them absolutely, without any "ifs, ands, or buts". Excellent all the way around! ★★★★★ A wonderful experience. I highly recommend the TubaFrau Band. They added a wonderful touch of whimsy and fun. 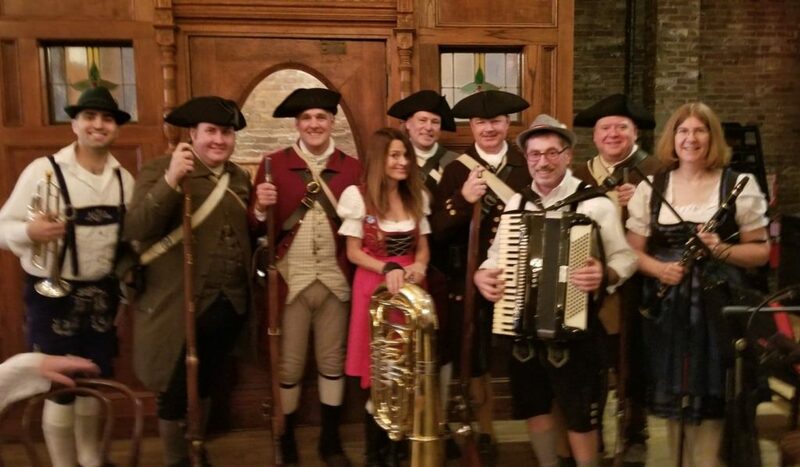 All of my guests made a point of telling me how much they enjoyed this wonderful group ... Thumbs up for the Tuba Frau!